In 2001 l was introduced to Reiki which opened me up to the most wonderful healing experience of my life. Shortly after that l came into contact with Reconnective Healing, which opened in me a gateway to a direct connection to higher realms. I have been working in the field of energy healing ever since, and have had some truly amazing results. I was given the gift of being a vessel for higher realms to enter my body and channel directly though me. Whilst being in a trans like state, what opens up through these channellings is a mixture of another language that seems to carry a unique energy that is helping to activates knowledge & healing within the body and is realigning each persons unique DNA and cellular structure to draw it into an alignment to a grid formation that encompasses and connects to all realities expanding our potential into a far greater state of awareness than we have ever witnessed on this planet before. The English language that is spoken downloads information for us to share on the planet for our upliftment. At this present time l am channelling a group of 12 from the 12th Dimension and Gabriel, as they come through they present themselves as 12 plus 1, thus making a sacred number of 13. This so far is my understanding. It has been an absolute pleasure to help people on all levels in their healing process, and l feel a sense of great excitement as l witness groups gathering all over this planet doing this work. Founder operater in partnership with Crystal Tones from America the sound temple of Crystal.. Owner and operater LoveLightyogawear, beautiful Crystal Infused Sacred Geomertry Yoga Wear. I have worked with Aroma therapy oils, Energy Body Healing and Sound Healing, l also work with my own channeled healing modality that is called Universal Healing. I have been given a very clear understanding that not only is my journey about my own spiritual growth, but also to help as many people as l can on their journeys as well. I feel that it is important that as we move through the changes that are happening on this planet, we cherish and nurture ourselves through these transitions with a view to bringing balance, harmony and unconditional love into our lives. I am continally drawn to work with Heart energy as l have a belief that the heart leeds us all home, and from this Heart space, that dwells from within us all, it is from here that we shall all open to our perfect unfoldment. Born in England in 1953, I migrated to Australia in 1966. I have spent most of my life pursuing a career in the Petrochemical Industry. In late1997, I separated from my wife of 25yrs. It was a turning point in my life; I began to wonder about the meaning of life. In 2001 I was introduced to Reiki, and decided to train in the full system. This training is very thorough, taking years of intense learning & practice . 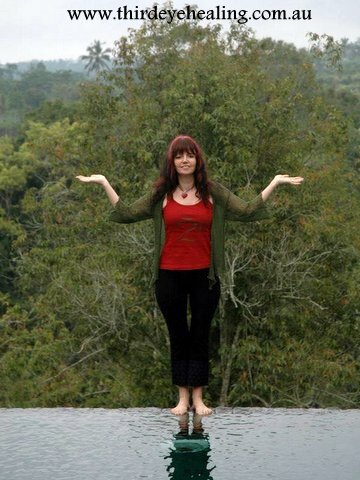 I have also attended many seminars, workshops & retreats that incorporate energy healing principals. Reiki Practitioner, Master, Teaching Master, Master Teacher. Ongoing study in Tibetan & Tantric Healing practices. I have found a great deal of personal happiness & satisfaction in helping other people. Personal growth and learning happens at a 'hands-on' level and the experience is invaluable. 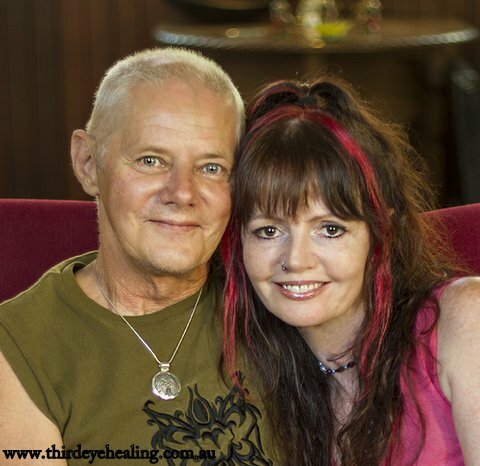 I am excited to add teaching to my experiences, and look forward to reaching out to many more people as the Third Eye Healing Centre expands.